USA Baseball is the original supporter and a flagship partner of the PLAY BALL initiative. Since 1978, USA Baseball has been the national governing body for the sport of baseball in the United States and is a member of the U.S. Olympic Committee and the World Baseball Softball Confederation. The organization is responsible for the continued proliferation and health of the sport, and leads a number of amateur initiatives including Pitch Smart. 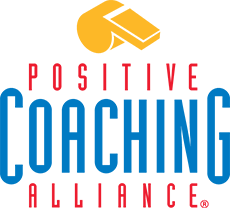 Another flagship partner of the PLAY BALL initiative, USA Softball is the national governing body of softball in the United States. In addition to the national softball team, it oversees more than 150,000 amateur teams nationwide and regulates competition to ensure fairness and equal opportunity for millions of softball players each year. The United States Conference of Mayors is the official non-partisan organization of community leaders of cities with populations of 30,000 or more. Since 2015, Mayors across the United States and Puerto Rico have annually hosted PLAY BALL events in their communities to connect young people with the National Pastime. In 2017, a record of more than 250 Mayors in the United States and Puerto Rico will be hosting youth-focused events in the PLAY BALL SUMMER effort through August 2017. In addition to 16 cities in Puerto Rico, Mayors in 45 U.S. States and Washington D.C. have committed to this "PLAY BALL SUMMER" effort. In 2016, more than 200 Mayors hosted over 22,000 kids in PLAY BALL events in their communities. PLAY BALL SUMMER events focus on connecting families and communities, especially underserved areas, to baseball and softball through fun-focused activities (such as playing catch, "running bases," bat & ball games, family gatherings, etc.). Minor League Baseball (MiLB) is the governing body for all professional baseball teams in the United States, Canada and the Dominican Republic that are affiliated with MLB clubs through their respective farm systems. In 2016, approximately 160 MiLB clubs attracted more than 41 million fans to its ballparks. MiLB has supported the PLAY BALL initiative since its inception and became an official partner in June 2017. Little League International is the largest youth baseball and softball organization that provides playing opportunities for children on six continents around the world. 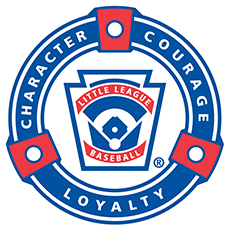 Little League's mission is to "promote, develop, supervise, and voluntarily assist in all lawful ways, the interest of those who will participate in Little League Baseball and Softball." The Positive Coaching Alliance is a national, nonprofit organization with the mission of developing "Better Athletes, Better People" through a positive, character-building youth sports experience. Through PCA seminars, parents learn how they can best support their children in youth sports, ensuring a positive experience that goes well beyond the results on the scoreboard. Commissioner Manfred has consistently reinforced Boys & Girls Clubs of America's (BGCA) standing as MLB's official charity. In addition to annual, year-round support, MLB invites kids from local Boys & Girls Clubs to take part in jewel events, including MLB All-Star Week and the World Series. MLB has provided more than $100 million in direct and indirect support to BGCA. Additionally, Boys & Girls Clubs around the country support both the Reviving Baseball in Inner Cities (RBI) program and PLAY BALL in a variety of ways. 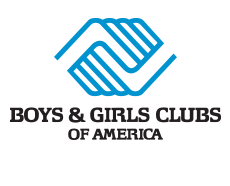 More than 4,000 Boys & Girls Clubs serve nearly 4 million young people annually through high-impact youth development programs on a daily basis during critical non-school hours. Since 2006, Chevrolet, the Official Vehicle of Major League Baseball, has been supporting baseball at the youth level in communities across the country through Chevy Youth Baseball, a grassroots, community outreach program. Participating youth baseball leagues receive equipment, sponsorship checks and fundraising opportunities from Chevrolet, as well as unique Major and Minor League Baseball experiences such as exclusive instructional clinics. In the last 11 years, Chevy Youth Baseball has donated more than 135,000 equipment kits, renovated 9,400 parks and impacted more than 6.7 million kids across the U.S. Chevrolet is a generous supporter of the PLAY BALL initiative. Nathan's Famous, the Official Hot Dog of Major League Baseball, is a proud sponsor of the PLAY BALL initiative. In addition to fun-focused activations at MLB's PLAY BALL events, Nathan's has generously donated to the Reviving Baseball in Inner Cities (RBI) program and kids from throughout the country. Scotts, now in its eighth season as the Official Lawn Care Company of Major League Baseball and second as an official partner of the PLAY BALL initiative, proudly partners with MLB and its Clubs to give back to kids and communities around the country by renovating youth baseball and softball fields. The Scotts® Field Refurbishment Program is scheduled to dedicate a newly renovated field each month from March through August. Targeted communities include Seattle, Los Angeles, Oakland and Dallas as well as Miami during 2017 MLB All-Star Week. In 2016, Scotts and MLB modernized fields for young ballplayers in South Carolina with the Atlanta Braves, New York City with the New York Mets, Kansas City with the Kansas City Royals, Houston with the Houston Astros, Boston with the Boston Red Sox, and San Diego during 2016 MLB All-Star Week with the San Diego Padres.